On the 21st of March 2006, Jack Dorsey sent the first public tweet into the world (“just setting up my twttr”). Can you believe that was 6 years ago today? Dorsey was evidently one of the key people in the early days of Twitter, and today he still serves as the company’s executive chairman and product lead, combining the job with his role as CEO of Square (another company he co-founded). His ‘twttr’ tweet was the first of several billions, and counting. Fun facts: it took Twitter 3 years, 2 months and 1 day to reach the first billion tweets, and it took about 18 months for the first 500,000 users to sign up. Twitter-the-company has obviously come a long way since Dorsey published the first tweet on ‘Twttr’, as it was known back then, and today some estimate that 500 million people use its real-time information and social networking service today. I’m skeptical about those estimates but they shouldn’t be too far off the real number. Last time Twitter itself shared the number of registered users for the service was in April 2011, when they announced that more than 200 million people had signed up. 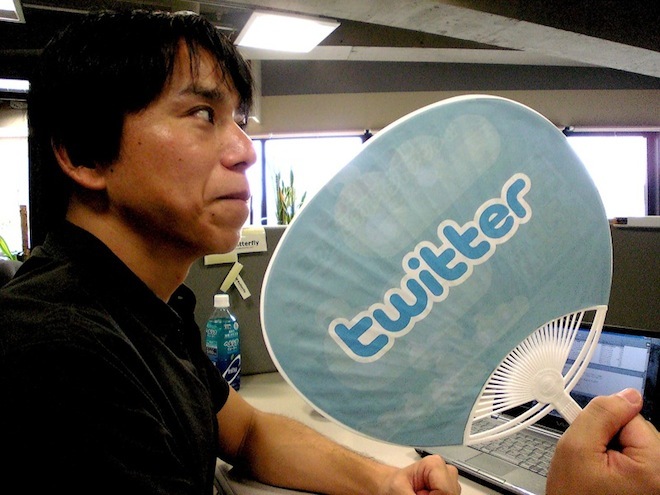 Twitter says ‘more than’ 100 million users were active in 2011. That number is most certainly higher today, but it’s been a while since Twitter has provided updated numbers. Here’s to hoping their 6th birthday will be an excuse for doing just that. Last October, Twitter did say they were seeing 250 million tweets per day, a number that’s likely also higher presently. The service still sees massive spikes from big ‘watercooler’ events like the Super Bowl, the Grammys and Super Tuesday. Over the years, Twitter has matured and made an impact in the areas of politics, sports, media, and more. But what about, you know, making money from it? According to eMarketer, Twitter’s advertising revenue is to triple by 2014, hitting over $540 million (up from an estimated $260 million this year). Recently, the company has been paying close attention to the different ways it can derive revenues from all those tweeters. Twitter has also recently added more languages and acquired blogging software maker Posterous. However, with rising headcount costs (over 900 employees today, up from about 400 last year) and costly infrastructure and operations, the company is still reportedly losing a ton of money after its first 6 years in business. We’ll be watching closely what happens next. But today, we raise our glasses to Twitter and wish them a very happy birthday, and many years to come.